In QGIS, I want to discern between a number of building types, based on topology. I have data on buildings, parcels and addresses. 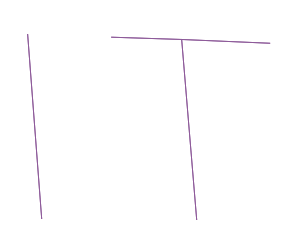 row/terrace: "at least 80% of opposite sides overlap with perimeter of another building; other sides do not overlap with perimeter of other building"
end-of-terrace: "at least 80% of one side overlaps with perimeter of a row/terrace building; other sides do not overlap". semi-detached: "at most one side shares overlaps for 80% or more with perimeter of another building; if a second side shares overlap with the perimeter of another building, this overlap can be at most 50% of that side"
The latter ensures that buildings which are semi-detached in terms of living areas but that are attached to other buildings by their garages would count as semi-detached, to fit the local context of this project where such a house would be considered semi-detached. So far so good. However, I do not know how to implement these rules in QGIS. How should I go about this? How do I calculate perimeter overlap? How do I distinguish between opposite sides of a polygon? How does this work for non-rectangular buildings? Is there an easier way to achieve what I want that I'm missing? Add perimeter length to the building layer as an attribute using the field calculator and the expression $perimeter. Use the SAGA tool shared polygon edges* (find this tool in the Processing toolbox) to extracts shared edges as a line layer. Choose a field with unique values as the attribute for this tool. Add $length to the 'shared edge' layer as an attribute. 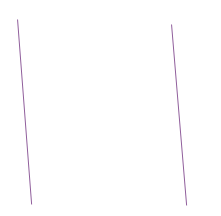 Each 'shared edge' line has fields called "ID_A" and "ID_B" that link it to its two parent polygons. Add a join to the building polygon layer, using the 'shared edge' layer as the join layer. Use ID_A as the target field. The join field is the field that you used in the tool shared polygon edges above. Add a second join using ID_B as the target field. 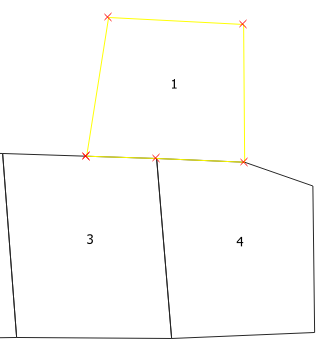 Sum the overlapping edge lengths for each polygon. 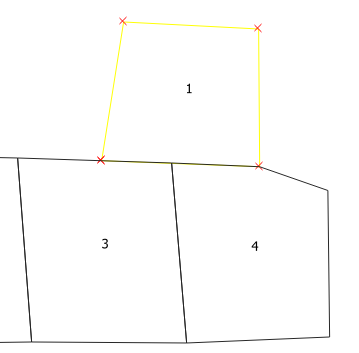 Calculate ratio of overlapping edge length to polygon perimeter. In this example, polygon 1 has a single edge that overlaps the edges of polygons 3 and 4. Because only part of this edge is shared with each neighboring polygon, the shared polygon edges tool doesn't detect it as a shared edge. Now the shared polygon edges tool correctly recognizes the shared edges. Not the answer you're looking for? Browse other questions tagged qgis vector classification topology or ask your own question. Does qgis support postgresql range types? How to suppress polygon boundaries shared by objects of same type in QGIS? Transformation types in geo-referencing of QGIS? Choosing statistical method for determining different crop types?